Outdoorer offers mobile sleeping comfort with the Trek Bed 1. Backpacking and trekking trips are precisely the time when you often have little room for bulk and weight. 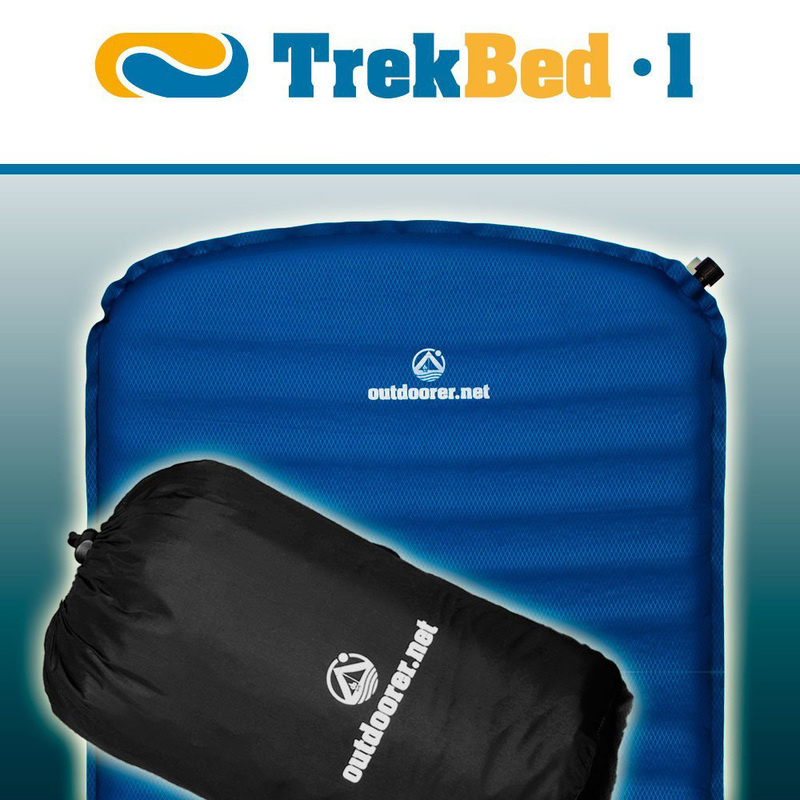 The Trek Bed 1 has a small pack size of 28 x 16 x 16 cm and weighs only 750 g. When it is unrolled, however, it offers a pleasant 183 x 51 cm sleeping pad. After rolling out, the Trek Bed 1 inflates in 15-20 minutes via the patented 3-way valve. Before sleeping simply close the valve and you can drift off to sleep on cloud 9. The 3.8 cm thickness when inflated is quite sufficient for you to lie comfortably and stay warm on cool nights. With an R-value of 3.2 you are prepared for temperatures of down to -5 degrees. The diamond embossing on the surface is pleasant and the back is waterproof and non-slip. The corners of the Trek Bed 1 are rounded. Where can you buy the Trek Bed 1? The Outdoorer Trek Bed 1 is available in our Amazon store.